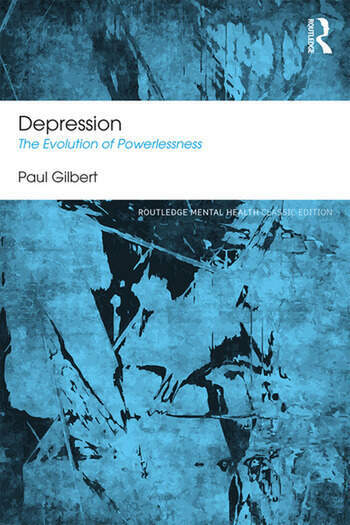 Depression: The Evolution of Powerlessness offers a fresh perspective on research, theory and conceptualisations of the depressive disorders, derived from evolution theory and arguing for the adoption of the biopsychosocial model. The book is split into three parts. Part I explores the major distinctions between all types of depression and Part II offers an overview of evolution theory and its application to depression. Part III covers the major theories of depression; theories are compared and contrasted, highlighting controversies, weaknesses and strengths, and where cross fertilisation of ideas may be beneficial. The final chapter outlines why simple theories of aetiology are inadequate and explores the role of culture and social relationships as elicitors of many forms of depression. This Classic Edition, with a new introduction from the author, brings Paul Gilbert's early work to a new audience, and will be of interest to clinicians, researchers and historians in the field of psychology. Paul Gilbert, OBE is Professor of Clinical Psychology at the University of Derby and has been actively involved in research and treating people with shame-based and mood disorders for over 30 years. He is a past President of the British Association for Cognitive and Behavioural Psychotherapy and a fellow of the British Psychological Society. He was awarded the OBE for contributions to mental health in 2011.